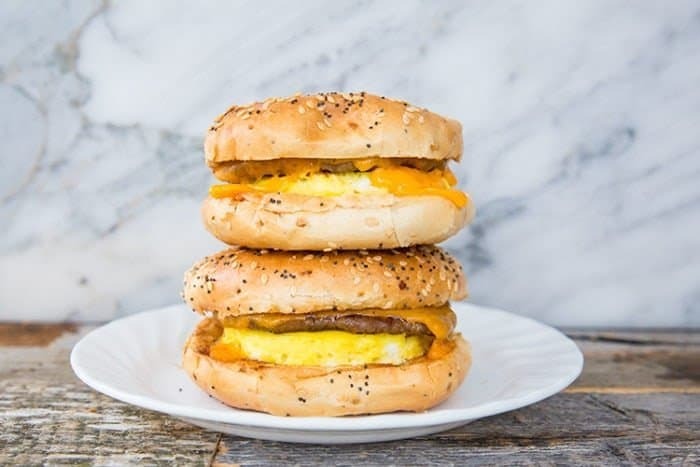 My new Make-Ahead Sausage & Egg Breakfast Bagels have been a lifesaving hit with my entire family! 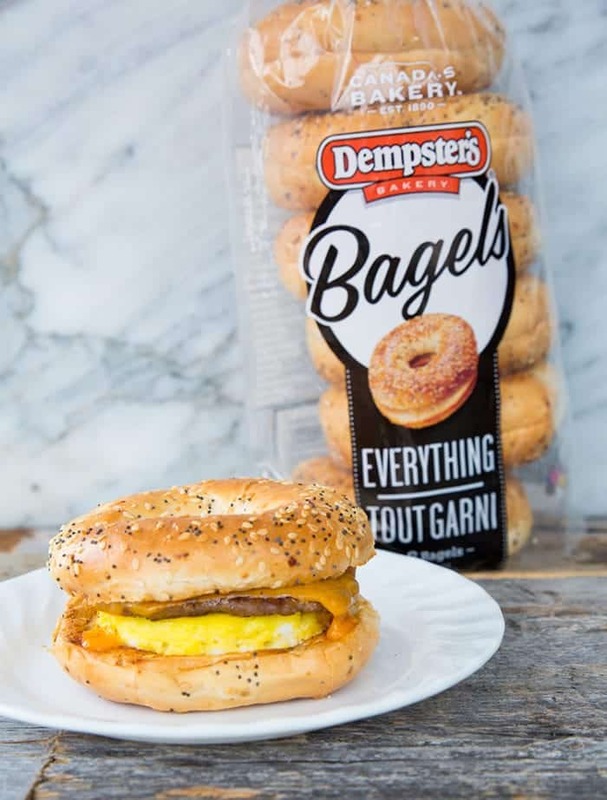 They are so easy to customize to your own liking with your bagel of choice (we used Dempster’s Everything Bagels, which are our favourite bagels) and even changing out the sausage to bacon if you desire. The holiday season is full of family, friends….and being busy from morning until evening non-stop. Not only that, the kids still have to go to school – sometimes almost right up until the big day! 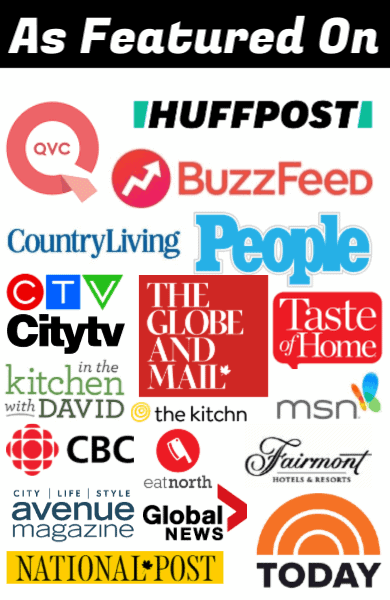 That means while planning out my Christmas entertaining we also still have to make breakfasts and lunches for everyone, or at least ensure that there are some decent food choices in the fridge or freezer for the kids to eat. School mornings during the holidays are my nemesis! I’ve partnered with Dempster’s to bring you a new recipe idea to help alleviate the holiday stress and I did it by trying my hand at some make-ahead breakfast bagels! First things first: these breakfast bagels are very much a choose your own adventure prospect. While I know that there has been an explosion of “freezer breakfasts” recipes lately, these will last in your fridge for three days. The actual time-consuming part of making these is cooking the eggs and frying up the sausage. It takes no time to toast a bagel and place cheese on top. So that leads us to the fact that to save time, it’s about cooking the eggs and the sausage ahead of time! To save yourself time and stress during the holiday season, if you wanted to make the sausages and eggs ahead of time and toast up fresh bagels, cook the eggs and sausage up, place them in one-serving bundles ready to go, wrap them in plastic wrap and freeze. You have just saved yourself 20 minutes of cooking in the morning! You can also sub in bacon for the sausage if you have family members that prefer that, or just to mix it up a bit. You then simply heat up the sausage and eggs, toast your bagels and top with cheese. The Dempster’s bagels are the easiest part of the entire recipe and are a regular staple in my own pantry. The kids toast them up with cream cheese for breakfast. You can choose any flavour of bagel – Dempster’s has original, whole wheat, 12 grain, everything and sesame flavours. 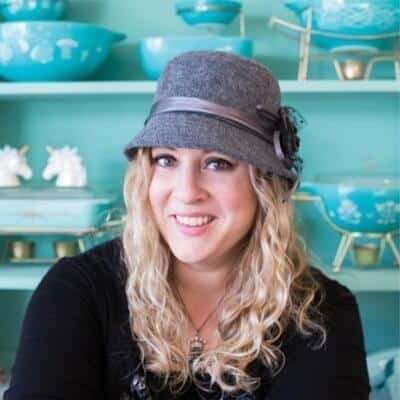 You can check out the line of products here. As I mentioned, we have always loved everything bagels and they are the best fit for this savory breakfast, bar none! These breakfast bagels can be frozen whole after they are wrapped up like I’ve shown in my video and re-heated. If you want to make them a week ahead of time, then wrap them up, freeze them and then re-heat them. They are best when you defrost them and THEN re-heat them rather than heating them from frozen. I know a lot of recipes have you heat up frozen breakfasts, but I’ve tested it and the best quality is when you have an unfrozen product that you re-heat. What I do is take them out the night before and the kids can heat them up in the morning. The bagel quality is better and everything heats up evenly. You can top these with lettuce and tomato if you are so inclined. There is no one right way to make these, it’s all about what works for your family and what will help save you the most time and alleviate at least the stress of breakfasts during the holiday season! This post was sponsored by Dempster’s. The opinions are completely my own based on my experience. Move over English muffins, the REAL freezer breakfast has arrived! 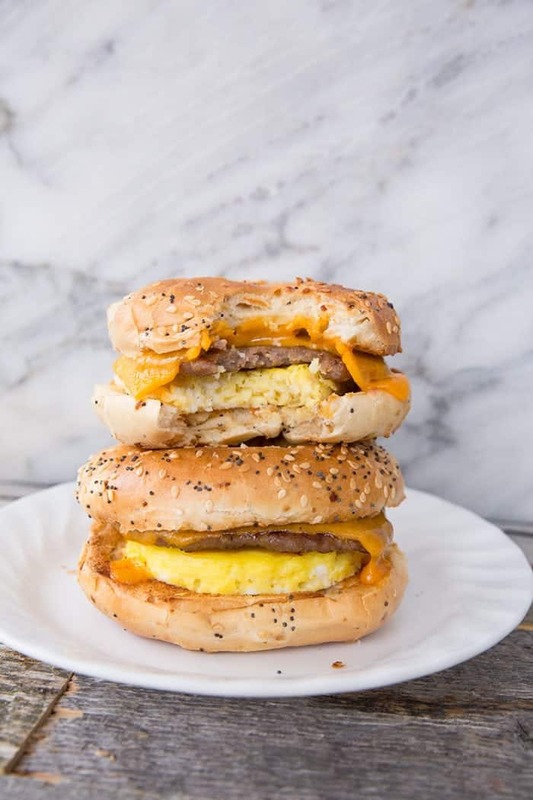 These Sausage & Egg Freezer Breakfast Bagels are going to be your new favourite! Grease a 9x13 pan. Beat the eggs and pour into the pan. Place in the oven and bake for 15 minutes, or until done. Remove and cool slightly. In a large skillet, fry the sausage patties until done. Remove and drain on paper towel. If you are making only the sausage and egg ahead of time, complete step # 6, then freeze the egg and sausage in single serving packets. If you want to make the entire thing, continue on to step #5. Toast the bagels and set on a plate. Once you can touch the egg pan, use a 2 1/2 or 3 inch biscuit cutter or glass and cut out 6 circles. Keep the rest of the egg for salad toppings or eat as is. ( we will eat them with salt and pepper right away). Cut out 6 sheets of parchment paper that are slightly larger than an average paper towel. Lay the paper towel on the parchment paper, centered. Place one half of the bagel in the center of the paper towel. Top with an egg patty, followed by a sausage patty, followed by a cheese slice. Place the other half of the bagel on top. Fold one end of the paper towel/parchment over, then the other. ( see video for exact way). Twist the ends of the paper together and tuck underneath. Place in a freezer safe, sealing plastic bag. Repeat until all 6 bagels are done. You can refrigerate these for up to 3 days and simply re-heat, or you can keep them in the freezer until needed, these will last up to a month. These (and all other frozen breakfast sandwiches) turn out better if you can defrost them even for 20 minutes before you microwave them, but if you are stuck for time, heat for 20 seconds in the wrapping to defrost slightly. 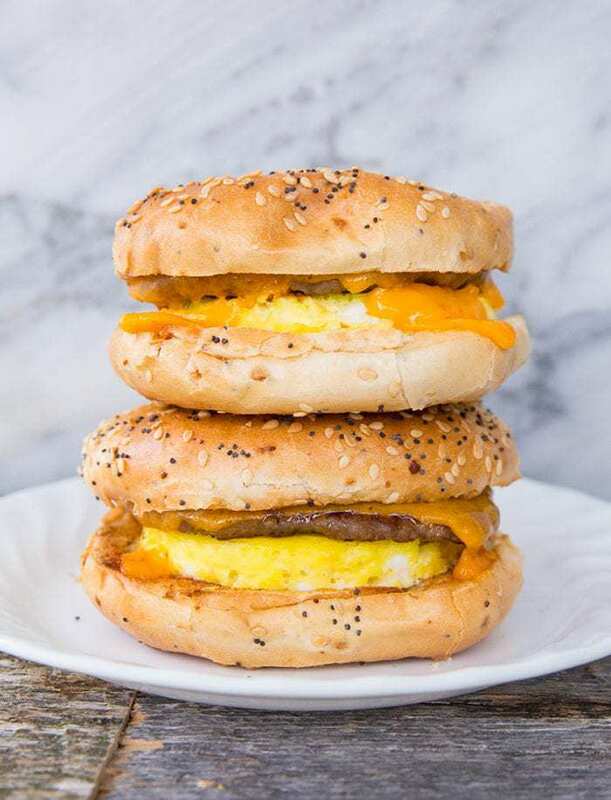 Remove and take the bagel apart into two pieces - one half with the sausage and cheese and the other with egg on top and place the two pieces onto a plate. Microwave until warmed through. Remove and let it cool enough so that you can eat it. If you prepared only frozen egg/sausage packets, toast a bagel lightly. While it's toasting, microwave the egg and sausage until hot. Place on bagel and top with cheese. If you want your bagel fresh, you can make small packages of the egg and sauage- create them without the bagel and freeze. Simply make a fresh bagel and heat the egg/sausage, place cheese one top and enjoy! The egg and the sausage are the time consuming parts. Can’t wait to try this! Where can I find the video?